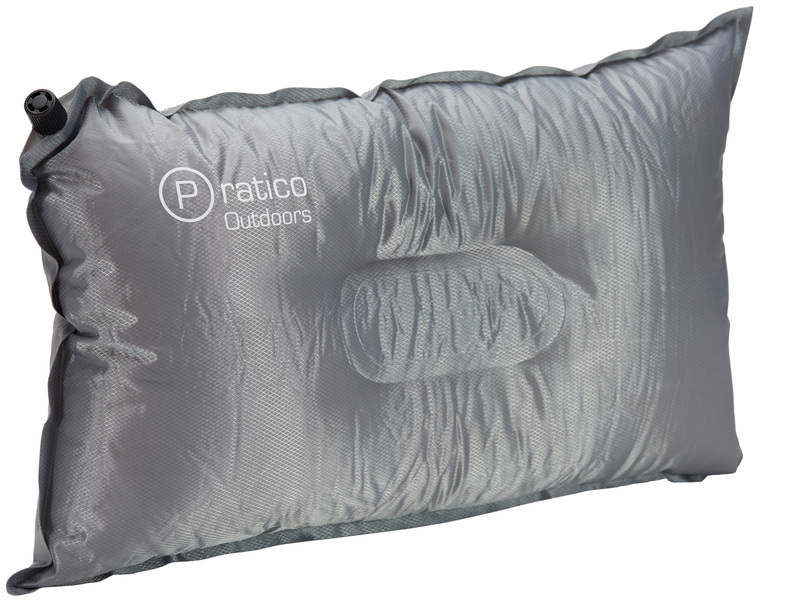 I just got this really fun camping pillow from Pratico Outdoors. This is a really fun pillow. It is inflatable so you just blow it up and you have a nice little pillow in a matter of seconds. It didn’t take long at all to blow it up and it has a large valve that twists so it’s pretty easy to blow it up. The pillow is pretty comfortable. It’s small but great for traveling or camping. It all comes stored in a vinyl drawstring bag that is easy to pack and take with you. It’s super small when no inflated and that makes it great for camping or traveling. It won’t take up much space in your bag. I got this for my daughters, they are all girl scouts and go camping often. They love this little pillow and it’s small enough they can throw it in their backpack with their sleeping bag. Works great!